With more than 40 galleries, museums, cultural venues, restaurants, bars and businesses, in addition to dozens of artist booths in Hemming Plaza, street performers and live music, this art walk is more than 10 years old. The Museum of Contemporary Art Jacksonville offers free admission. Artist booths line First Street and businesses feature specials and live music at this beach-side Art Walk event. With more than 55 participating local artists, this art walk also features almost 30 venues for shopping and dining. 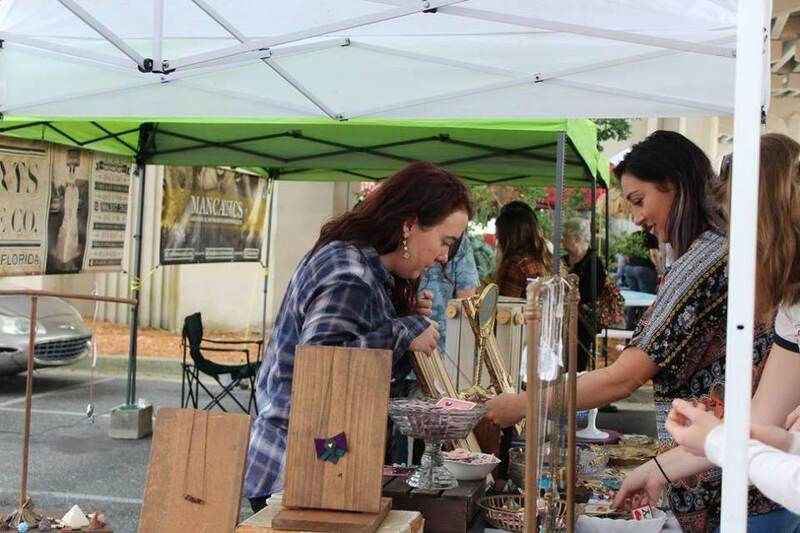 Riverside Arts Market (RAM) features more than 100 juried artists that showcase Jacksonville’s creative side, from handmade pottery, paintings and jewelry, to silk-screened shirts and unique accessories. The farmers market features local produce, artisan breads, gourmet spreads, fresh cheeses, and more. Three stages present live entertainment, such as regional bands, barbershop quartets, bellydancers, magicians, fire-eaters and jugglers. Come to The Jacksonville Landing every first Wednesday of the month. This downtown Jacksonville event will feature a beer garden, games for kids, food trucks, and music. Shop wares from local artisans. Photo from Riverside Arts Market.